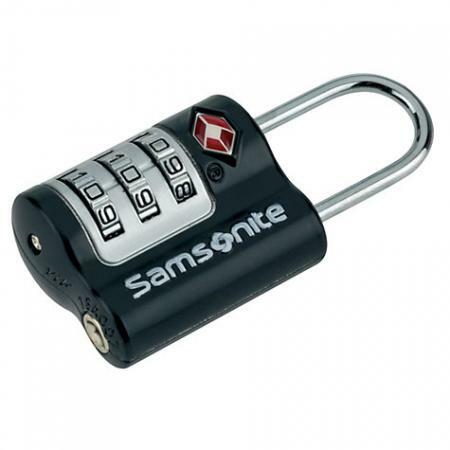 Samsonite TSA 3-Dial Combination Padlock. This padlock is engineered for better baggage security using a sturdy zinc alloy construction. The triple dial mechanism sets and re-sets with millions of cominations to choose from, for added convenience and protection. Each Travel Sentry Apporved Combination Lock has a special identification mark alerting the TSA that they can open it without destroying it if a checked baggage inspection is necessary. It can also be relocked after inspection. Avalible in; blue, black or green. Make your choice of colour formthe pul down menu below.